This planter idea can be adapted in any way you like. Change the color, or add decorations. But the idea is excellent! 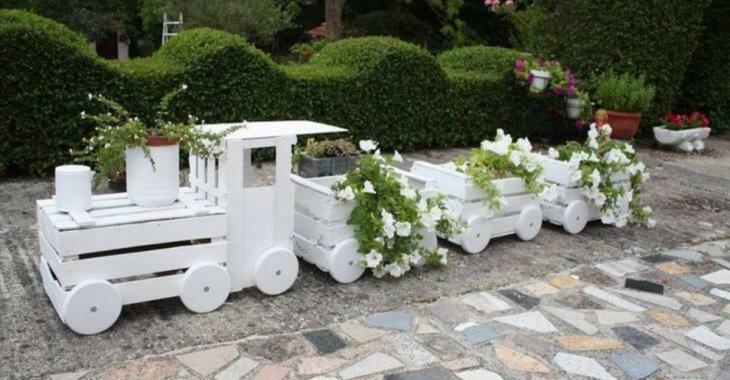 Add flower pots to the chimneys of the locomotive and the wagons of the train ... It's charming and all your neighbors will compliment you on your creation. A very nice project to work on over the winter in your garage! It will be ready for spring!